RadioA1A LIVE Sessions Presents John Bartus, Produced by Dewey Engstrom and A1A Media, in front of a LIVE Studio Audience during a LIVE RadioA!A Streamcast from the Studios of RadioA1A inside Heartbreakers Brewhouse in Islamorada, Florida Keys. StreamCasting 24 Hour Music, Talk and Entertainment. Originating from Islamorada in the Florida Keys. 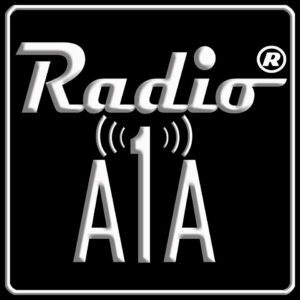 Radio A1A/TV A1A StreamCasts Tropical, Rocking and Fun programming and information providing listener/viewers with the feeling that they are right here in the Florida Keys, our Tropical American Paradise. This Trop Rock song "East of A1A" by Key Lime Wine Singer Songwriter Carl Page will sure to be leaving you feeling like you are laying on a beach somewhere east of A1A with a drink in your hand and no worries on your mind. LIKE this video if you love Trop Rock songs! Songwriters Thom Shepherd and Coley McCabe wrote the song "Forever Home" after their friend Tim Stallard contacted them about finding an out of the box way to help raise money for the Living Love Animal Rescue Shelter in Marble Falls, TX. RadioA1A LIVE Sessions Liz Thurman and Ty Thurman. Video by Sarah Thurman. Audio produced by Dewey Engstrom. Recorded LIVE at Westlight Studios in Franklin, TN. From "Songs From The Gulf" TropRock Album. Barefoot Man. From the Cayman Islands. As it turns out, the Barefoot Man is not only an excellent musician and songwriter; he has defined the words “niche marketing” to create a cottage industry based around his bare feet and humorous songs. He owns the record company that records and sells his music. His wife is the accountant and he is also the photographer and writer. He sells T-Shirts, CD’s of his songs in addition to CD’s for kids, CDs of diving songs and Christmas CDs on his website and at his performances. It also looks like he has worked a deal with Cayman Airways along with The Reef Resorts in the Cayman Islands and Nippers Beach Bar in the Bahamas for them to advertise on his CD’s as well. He has branched out to the Bahamas where he has an album that has been a Top 10 hit for four years. He has won Grammy’s, Gold Records and is enormously popular on both the Bahamas and the Cayman Islands. His music was used in the movie, “The Firm” which was filmed in part in the Cayman Islands. There is a scene in the movie where Gene Hackman is dancing to one of Barefoot’s songs. The official video for the TRMA nominated "Beachfront," from the 2012 album "Coastal Cowboy." Bonita Springs-based John Friday performs his original song, Coastal Dreamin,' for the Naples Daily News' Sessions local music feature. Original song by singer/songwriter Micah Gardner. Here's the title track off my third Scubaribbean(SM) album! Here is the official Video "Refuge " from my new CD " Hwy59"
Sometimes you just need a great margarita, this song was inspired by one of our regular gigs in Austin Texas so I thought it would be fun to get all our friends together and have a drink! 3 CDS full of "Country Rock with a Twist of Lime" ! Loren is an entertainer and songwriter specializing in "coastal Americana" music. Loren knows that music makes every event more fun and special, and can work with you to make that happen. Check out this brief introduction to some of Loren's music, and then see what it's all about at www.lorendavidson.com . An original song by Tim Campbell with lead and bass guitar played by Marcus Truelove. Mixing and final production was completed by Tyler Metz at INDA Studio. Tiki Tom Toms' #1 single, Ahsanoma Namaheya, gets a little help from the amazing people at Down Syndrome Indiana. We were able to capture a fun energetic night full of love and laughs and make a video from it. Please pass along and share the love, that's what this song is all about, Sending Love Your Way! Fun time at Music on the Bay 2019 on the beach at Whiskey Joe's! The beach balls were flying as Ty Thurman, Cory Young and the all-star Bulawayos Band performed the title song from his new CD "BeachBalls." Band members included Bart Walker, John Beck, Johnny Doo, Jon Patti and Bill Cockerel. Donny Brewer shot the video from out in the crowd, and you'll see Danny Rosado and RadioA1A's Harry Teaford along with a crowd of crazy Parrotheads going nuts. Plus the BeachBoobies gal! Heather Vidal " Lucky Day "
Official Music Video for Donald James Salty Strings. Shot in Vieques Puerto Rico. From the album Salty Strings by Donald James. Like my page and Share it y'all. From the 2018 album "One Desire"